Trevor has been studying the states and capitals in school. How fun to be able to go to the cupboard and pull out all the US geography games and activities from my teaching days! This is one that I made myself. I started with 101 pieces of white cardstock, about the size of a deck of cards. On 50 cards, I wrote the name of one of the states (in blue). On the next 50, I wrote the name of one of the capitals (in red). 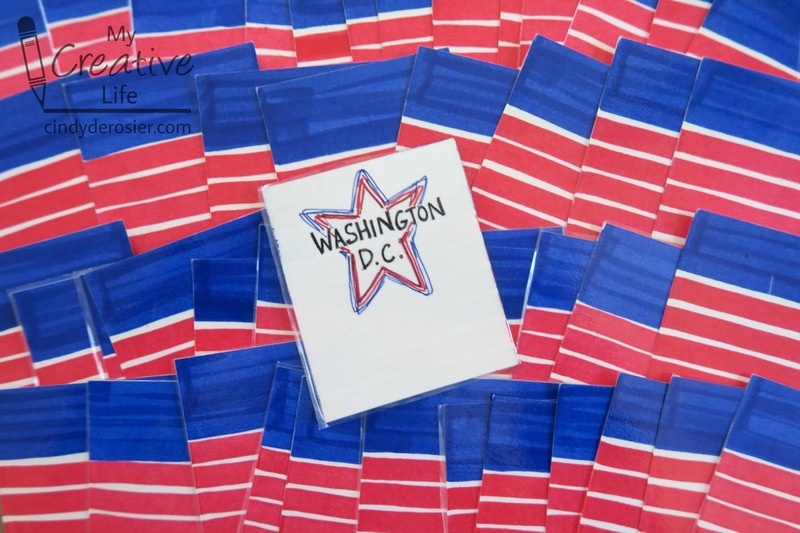 The final card was for our nation's capital, Washington DC. I colored the backs of each of the cards to make the flag pattern. It didn't take all that long and was easy to do while watching TV. In fact, I made multiple sets for my classroom and laminated them for durability. It worked; some 20 years and 500 kids later, the cards still look good. There are a few ways to use these cards. 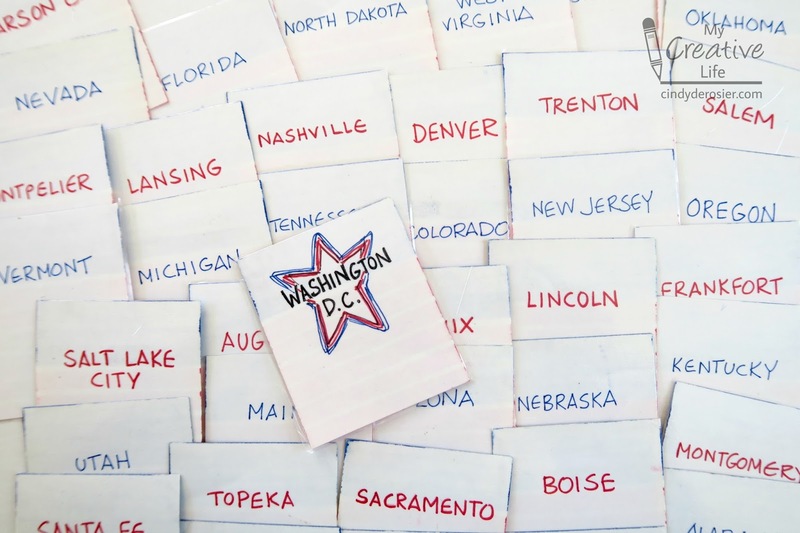 Spread them all out on a grid and create a huge game of Memory, with the Washington DC card being wild. Or, use them for an Old Maid type of game, where the winner is the person who is holding Washington DC when all the matches are made. 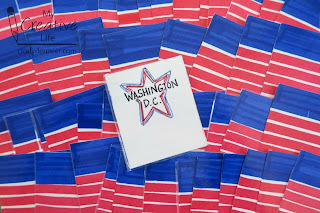 Set aside the Washington DC card and use the rest of the cards for an epic game of War. The first to see a match yells it out and keeps those cards. This works best with 4+ players so that matches occur more frequently. Or, for solitaire fun, time yourself to see how long it takes to pair up all the states with their capitals. Try to improve your time! 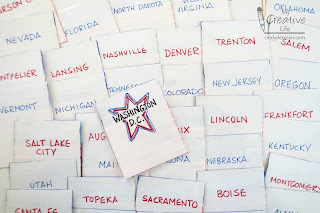 Here are some of my other favorite games and activities for learning the states and their capitals. Loveeeeeee this idea! How FUN!!! Brookie loves to play "Stacked States" on her Ipad!! !